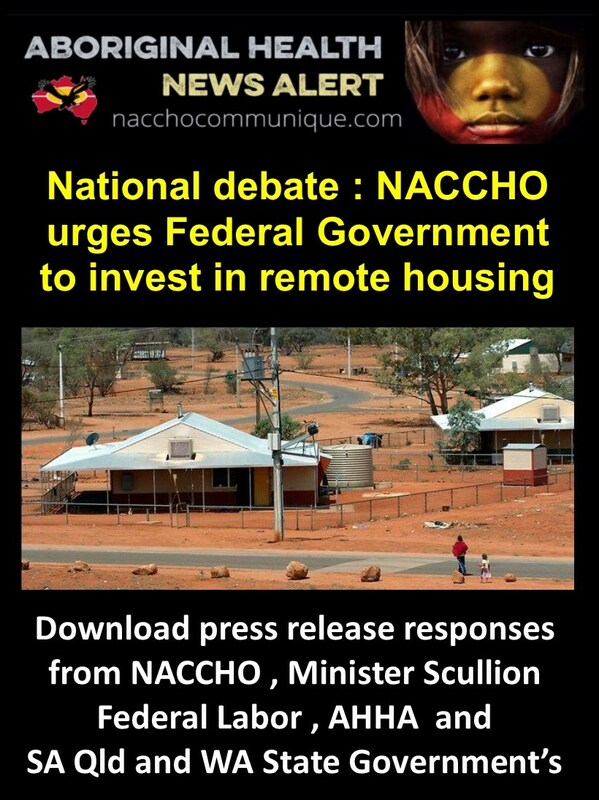 “ NACCHO is extremely disappointed that the Commonwealth Government has recently walked away from all States’ Remote Housing funding agreements and only maintained smaller scale arrangements in the Northern Territory. States have been offered short-term agreements and committed fewer funds. “It is morally reprehensible that the Federal Government can walk away from ongoing funding for remote communities after being involved in this space for 50 years. If the PM does not step in to resolve this issue – as requested in a formal letter sent to him by WA Premier Mark McGowan on May 11 – he will be showing his true stripes as the so-called PM for Closing the Gap. “The people living in WA’s 165 remote communities are amongst the most vulnerable in Australia. There are significant challenges in servicing their communities to a suitable standard. For the Federal Government to suggest that this is solely a State responsibility is a nonsense. 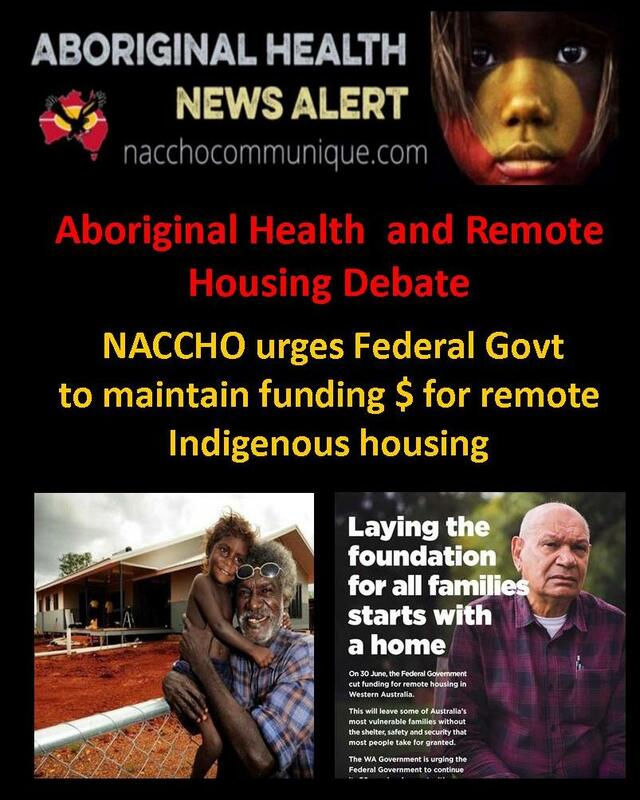 The National Aboriginal Community Controlled Health Organisation (NACCHO) is extremely concerned that the Federal Government has cut funding for the National Partnership Agreement on Remote Indigenous Housing. Housing conditions in remote communities remain substandard, overcrowded and there are high rates of homelessness in remote communities. All of these contribute to poor health outcomes and prevalence of third world diseases like trachoma and rheumatic heart disease. The WA McGowan Government started a campaign to pressure the Federal Government to not abandon 165 remote communities in Western Australia. 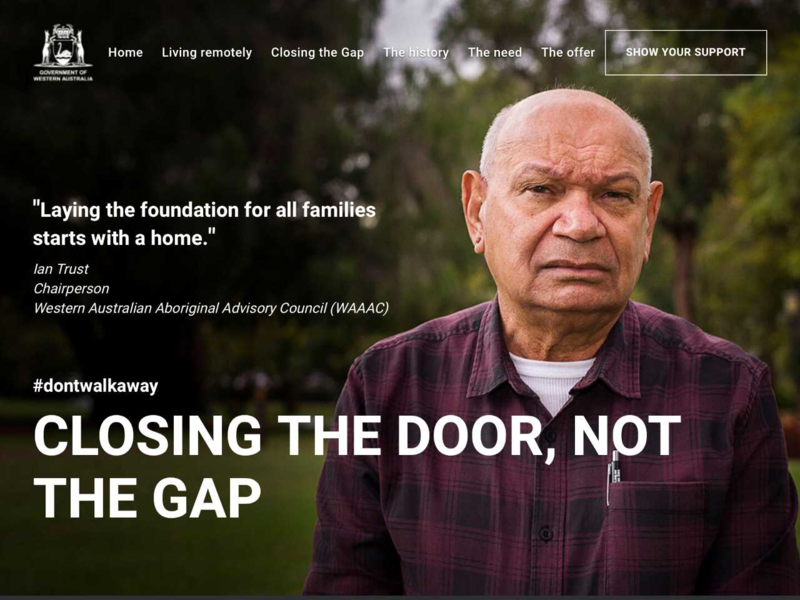 The ‘Don’t Walk Away’ campaign featured online and print media advertising, and promote a website with a call to action for people concerned about the plight of the almost 12,000 people living in remote communities across WA. 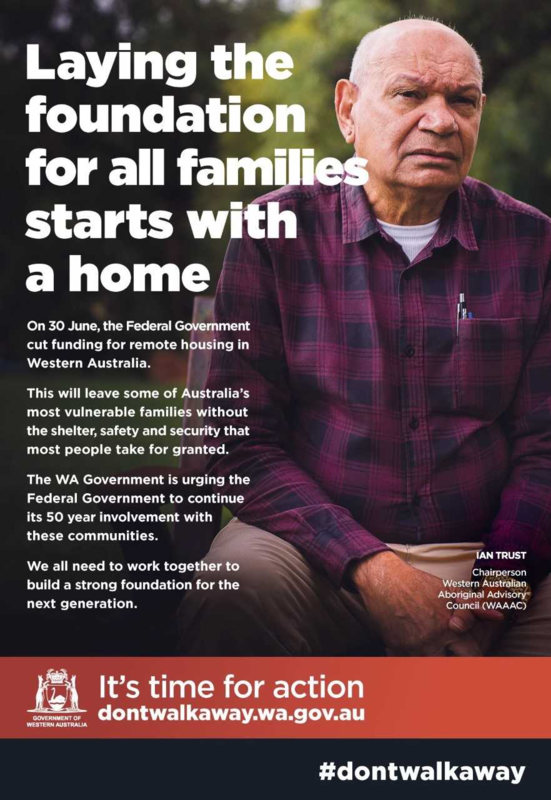 June 30 marked the end of a 10-year, $1.2 billion funding agreement between the Federal Government and the WA Government to support remote communities through the provision of housing. The WA Government contributes about $90 million annually to maintain these communities through the provision of essential services such as power, water and waste management, infrastructure and regular maintenance activity. 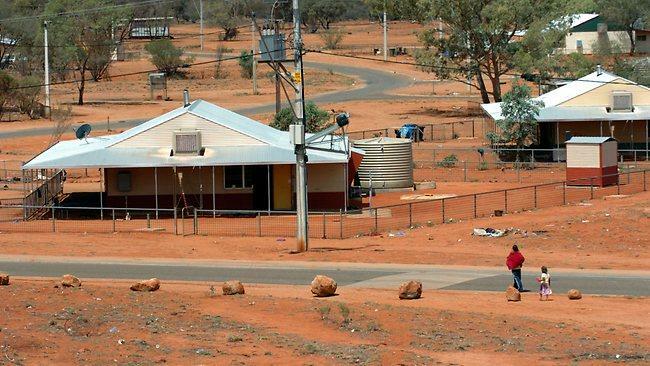 The Federal Government’s own independent Remote Housing Review has identified that about 1,300 new homes will need to be built in WA in the coming decade to address issues of overcrowding in remote communities and to cater for population growth. But despite months of haggling, the Federal Government has indicated it intends to wash its hands of further involvement in the provision of housing for remote services after making a payment of about $60 million over the next three years. This will leave an approximate $400 million gap in the State’s finances over the forward estimates. The State Government today issued a national call to action for all caring Australians to lobby Prime Minister Malcolm Turnbull – the so-called PM for Closing the Gap – to solve the current impasse and prevent indigenous Australians living in remote communities from further disadvantage. Malcolm Turnbull has turned his back on remote Indigenous communities in Western Australia, South Australia and Queensland, with funding for remote housing in those states ceasing yesterday. This is despite Senator Nigel Scullion’s repeated claims to contrary over the past six months. This year’s Budget confirmed there would be no additional funding for these states in the National Partnership Agreement on Remote Indigenous Housing. Only the NT will continue to receive Commonwealth support to tackle overcrowding. Shadow Homelessness Minister Doug Cameron said the Turnbull Government is walking away from remote communities. “This cut shows an appalling lack of leadership and a complete misunderstanding of the Close the Gap framework,” Senator Cameron said. “Overcrowding is a root cause of Indigenous disadvantage because it leads to a range of other social and health problems in remote communities. Prior to the Budget, Senator Scullion’ described claims he was cutting the agreement as ‘fiction’ and ‘nonsense’. Shadow Assistant Minister for Indigenous Affairs, Senator Patrick Dodson, said housing underpins all of the Close the Gap targets. “Without a decent place to live, the task of closing the gap in health or education becomes only more difficult,” Senator Dodson said. According to a 2017 review of the program, by 2018 the strategy will have delivered 4,000 new houses and 7,500 refurbishments The NPA is estimated to have led to a significant decrease in the proportion of overcrowded houses in remote and very remote areas. It has also been a driver of job creation and Indigenous business’s in many remote communities. With Malcolm Turnbull’s refresh of the Close the Gap strategy now underway, it is critical that the Turnbull Government does not walk away from any of the current targets. Instead of walking away from programs that work – the Turnbull Government should be working with Indigenous communities to ensure services are delivered as efficiently and effectively as possible. 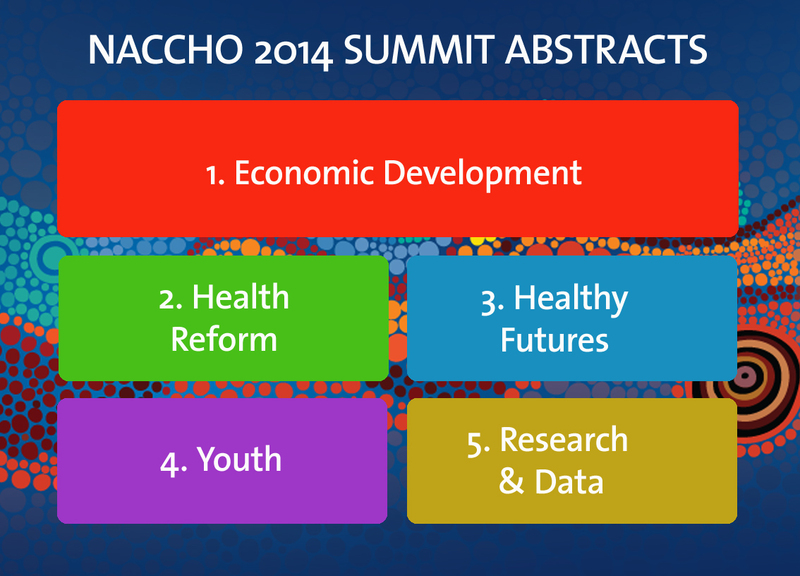 “ Closing the Gap in health disadvantage requires action on many fronts. One of these is to improve living conditions for Indigenous people. Housing facilities needs to improve to raise Indigenous health outcomes. I have been to many communities where the housing for Indigenous people is actually a driver of poor health and creates a cycle of disadvantage . Ministers from South Australia, Queensland and Western Australia have recently expressed concern that the Federal government will not renew the current Commonwealth State funding agreement for Indigenous Housing. ” The Federal Coalition Government of Malcolm Turnbull has turned its back on the National Partnership Agreement on Remote Housing (NPARH) – leaving Western Australia, South Australia and Queensland facing a funding shortfall totalling hundreds of millions of dollars. The pre-Christmas decision of Federal Indigenous Affairs Minister Nigel Scullion leaves some of Australia’s most vulnerable communities with dramatically reduced funding for housing and other essential services – creating an increased risk of marginalisation. Notably, the decision flies in the face of the Commonwealth’s own review into remote housing and directly contravenes the ‘Closing the Gap’ report which clearly states that safe and appropriate housing is fundamental to achieving the COAG targets. ” Any decision to cut funding by the Turnbull government will contribute to an increase in chronic disease, and inevitably lead to poorer health outcomes, more indigenous deaths and widening of the gap between the general community and indigenous communities. Safe and healthy housing is fundamental to the wellbeing of all Australians and contributes to providing shelter, privacy, safety and security, supports health and education, and has a significant impact on workforce participation. Malcolm Turnbull and Minister Nigel Scullion must take immediate steps to ensure the continuation of funding for remote and indigenous housing. Failure to do so will be another example of a government that is out of touch and only concerned with their internal disputes and dysfunction. The cut will see funding from the federal government drop from $776 million over two years to just $100 million, with that $100 million going only to the Northern Territory. Our major concern is that overcrowded housing in remote Aboriginal and Torres Strait Islander communities is the primary cause of rheumatic fever in Australia. ” Misleading and outrageous statements from Western Australian Labor Housing Minister Peter Tinley as well as South Australian Labor Housing Minister Zoe Bettison are undermining good faith negotiations between the Commonwealth and state governments about the future of remote housing. Minister for Indigenous Affairs, Nigel Scullion, said despite claims by the state Labor ministers, and despite the fact that housing still remains a state responsibility (last time we checked) no announcement or decision has been made by the Commonwealth Government to cease funding for remote housing. The National Aboriginal Community Controlled Health Organisation (NACCHO) which represents 143 Aboriginal Community Controlled Health Organisations across Australia today urged the Federal government to invest in remote Indigenous housing. Mr John Singer, Chairperson of NACCHO said, “the recent review of the current agreement provided to the Department of Prime Minister and Cabinet highlights the key role of safe and effective housing for Indigenous health. In fact, it makes this point in its very first sentence,” said John Singer. The review documents progress in the provision of Indigenous housing by the current funding agreement. It stresses the need for funded long-term maintenance programs to sustain the gains made as well as further investment to address the continued need. It also proposes ways to better monitor whether new funding is making a difference. As acknowledged by the Turnbull government last month in their publication My Life, My Lead housing is just one well known and understood social cultural determinant factor along with education, employment, justice and income that impact on a person’s health and wellbeing at each stage of life. 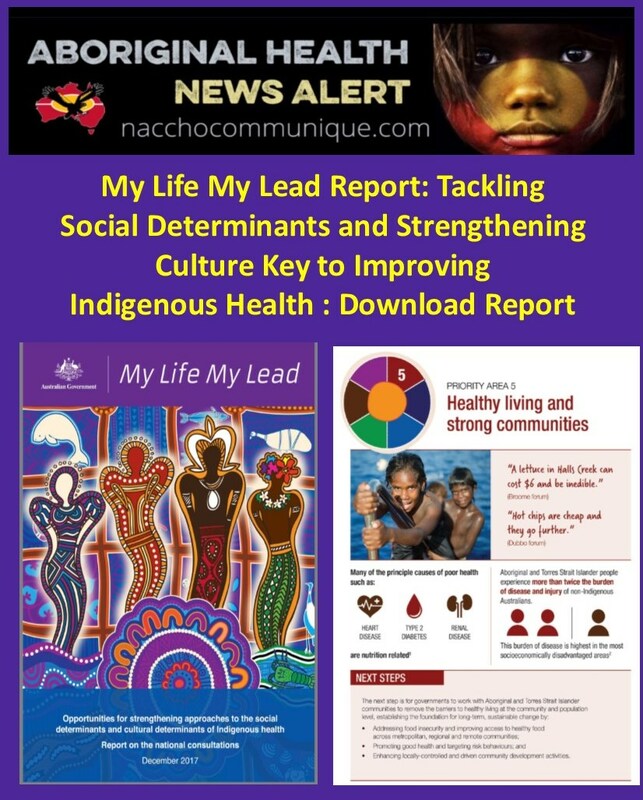 Background 1 : My Life My Lead – Opportunities for strengthening approaches to the social determinants and cultural determinants of Indigenous health: Report on the national consultations December 2017, 2017 Commonwealth of Australia December 2017. Housing is an important mediating factor for health and wellbeing. Functional housing encompasses basic services/facilities, infrastructure and habitability. These factors combined enable households to carry out healthy living practices including waste removal; maintaining cleanliness through washing people, clothing and bedding; managing environmental risk factors such as electrical safety and temperature in the living environment; controlling air pollution for allergens; and preparing food safely (Bailie et al. 2006; Nganampa Health Council 1987; Department of Family and Community Services 2003). Children who live in a dwelling that is badly deteriorated have been found to have poorer physical health outcomes and social and emotional wellbeing compared with those growing up in a dwelling in excellent condition (Dockery et al. 2013). Comparisons between Indigenous and non-Indigenous children in the Longitudinal Study of Australian Children (LSAC) show improvements in housing can be expected to translate into gains for Indigenous children’s health, social and learning outcomes (Dockery et al. 2013). As expected, housing variables are closely associated with socio­ economic status, including: crowding, renting rather than owning, and being in financial stress (see measures 2.01 and 2.08). Infectious diseases are more common in households with poor housing conditions. For example, trachoma and acute rheumatic fever are present almost exclusively in the Indigenous population in remote areas (see measures 1.06 and 1.16). Domestic infrastructure, along with overcrowding and exposure to tobacco smoke increases the risk of otitis media in children (Jervis-Bardy et al. 2014) (see measures 1.15, 2.01 and 2.03). The Commonwealth Government provided $5.4 billion over ten years to 2018 through the National Partnership Agreement on Remote Indigenous Housing and the National Partnership for Remote Housing. This was a one-off National Partnership Agreement to assist states to undertake their own responsibilities for the delivery of housing to reduce overcrowding and increase housing amenity. The Federal Coalition Government of Malcolm Turnbull has turned its back on the National Partnership Agreement on Remote Housing (NPARH) – leaving Western Australia, South Australia and Queensland facing a funding shortfall totalling hundreds of millions of dollars. The Commonwealth had previously committed $776 million over two years to the NPARH but will now only fund the Northern Territory component of the agreement. Mr Scullion is a NT Senator. Housing Minister Peter Tinley has demanded senior figures in the Turnbull Cabinet from WA – notably Foreign Affairs Minister Julie Bishop, Attorney-General Christian Porter, Finance Minister Mathias Cormann, Jobs and Innovation Minister Michaelia Cash and Indigenous Health Minister Ken Wyatt, as well as WA’s Nationals Party, stand up for their State and get the decision reversed. The original 10-year NPARH, brokered by the Federal Labor Rudd government, has seen an average annual Federal Government contribution of about $100 million to WA. A recent expert panel review commissioned by the Federal Government acknowledged the Federal Government had an ongoing role as a key funding partner with the States and Territory for housing in remote communities. “This latest decision, especially the way the Turnbull Government has tried to sneak it through during the festive season, is absolutely appalling and demonstrates its lack of concern for indigenous Australia. “The Commonwealth has a responsibility to support Australians living in isolated and remote areas. They cannot just walk away from this duty of care. “This situation is yet another test for those Western Australian MPs with senior positions in the Turnbull Cabinet who are habitually missing in action when it comes to protecting the interests of WA. “Further, all Western Australian Nationals MPs, both State and Federal, need to stand up for regional WA and send a clear message to their Canberra colleagues that these cuts are unacceptable. WA Nationals leader Mia Davies must outline her position. “I sincerely hope the Liberals and Nationals will step up their game and get this decision reversed. “The McGowan Government inherited a financial disaster from the previous Liberal National Government that governed WA so incompetently for eight years. “Because of that mess, there is no way we can afford to pick up a funding shortfall from the Commonwealth that will equate to hundreds of millions of dollars over the coming years. “The Commonwealth has a responsibility to help fund essential services in remote communities and in doing so to protect an important element of our national cultural heritage. Media reports and comments by the Western Australian Housing Minister Peter Tinley indicate that the Turnbull government is proposing massive cuts to the National Partnership on Remote Housing, which has replaced the National Partnership Agreement on Remote Indigenous Housing and the Remote Housing Strategy (2008- 2018). The reports indicate that the financial commitment by the Commonwealth will be reduced from $776 million to $100 million and will only be available to remote communities in the Northern Territory. The Turnbull government must immediately clarify these reports and, if true, reconsider this cruel and outrageous cut to housing and homelessness funding in remote and indigenous communities. In recognition of the serious problems in indigenous housing, $5.4 billion of funding has been invested since 2008 by Commonwealth governments in an attempt to close the gap in indigenous housing. The Turnbull government’s own remote housing review demonstrated that this long term strategy had delivered over 11,500 more liveable homes in remote Australia, 4000 new houses, and 7500 refurbishments. This has resulted in a significant but necessary decrease in the proportion of overcrowded households. The report also estimates that an additional 5500 homes are required by 2028 to reduce levels of overcrowding in remote areas to acceptable levels. 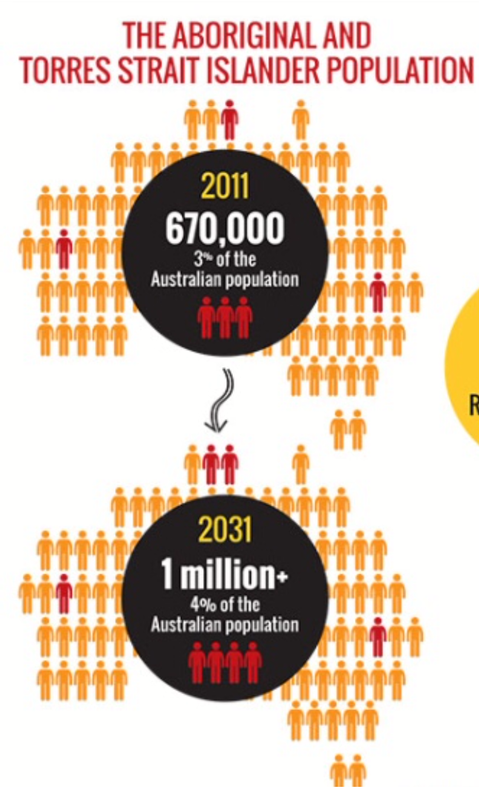 The report shows that 1,100 properties are required in Queensland, 1,350 in Western Australia, and 300 in South Australia by 2028 to address overcrowding and meet population growth. “If these reports are true, remote communities in Western Australia will continue to be overcrowded for the decade to come,” Senator Dodson said. The report debunks the myth that Aboriginal and Torres Strait Islander families cause the majority of damage to remote indigenous housing. The report shows that only nine percent of household damage is caused by tenants, with the majority of damage coming from lack of programmed maintenance and in 25 per cent of cases the cause is poor specifications or faulty workmanship in the original build. Rather than cutting funding, the Turnbull government’s own report has concluded that capital plans should be set for a minimum five years. This is on the basis that government procurement practices would support small, emerging businesses, and provide greater opportunities for training and employment of local people.  That there be a recurrent program funded to maintain existing houses, preserve functionality and increase the life of housing assets.  The costs of a remote Indigenous housing program to be shared 50:50 between the Commonwealth and the other jurisdictions.  Investment for an additional 5500 houses by 2028 is needed to continue efforts on closing the gap on indigenous disadvantage. Additional recommendations include improved governance structures, increased transparency, the development of the local workforce, and tenancy education programs. The report also found overcrowding and poor quality housing leads to poor health outcomes and makes it harder to manage chronic disease. In addition, the report indicates that indigenous communities experience high rates of infectious diseases. As such, any decision to cut funding by the Turnbull government will contribute to an increase in chronic disease, and inevitably lead to poorer health outcomes, more indigenous deaths and widening of the gap between the general community and indigenous communities. Malcolm Turnbull and Minister Nigel Scullion must take immediate steps to ensure the continuation of funding for remote and indigenous housing. Failure to do so will beanother example of a government that is out of touch and only concerned with their internal disputes and dysfunction. Rather than $65 billion in tax cuts for big business and the banks, the Turnbull government should immediately commit to the recommendations in its own report and close the gap by continuing funding of the National Partnership on Remote Housing. Misleading and outrageous statements from Western Australian Labor Housing Minister Peter Tinley as well as South Australian Labor Housing Minister Zoe Bettison are undermining good faith negotiations between the Commonwealth and state governments about the future of remote housing. “It is complete and utter nonsense to suggest that Commonwealth funding for housing is ceasing. 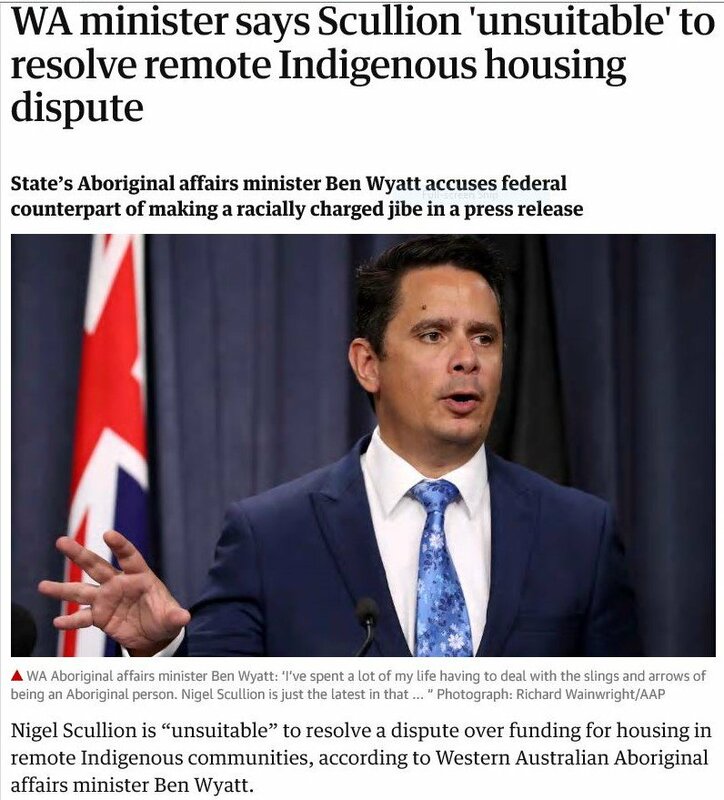 This is a fiction created by certain Labor state ministers who are clearly trying to abrogate their own responsibility to their Indigenous housing tenants and it should be called out for what this is,” Minister Scullion said today. “In fact, the Commonwealth commenced discussions with Western Australian Government officials only yesterday about a future funding contribution to remote Indigenous housing – clearly the hapless Peter Tinley is unaware of what his own department is doing. “It is disappointing that after the first day of discussion, this incompetent Minister has decided to play politics rather than work cooperatively on future funding arrangements. “The Commonwealth already supports public housing, which is a state and territory responsibility, to the tune of $6 billion per year including $1.5 billion per annum in direct payments to states and around $4.5bn per annum through Commonwealth rent assistance. “The states should prioritise some of the social housing funding for remote Indigenous residents. 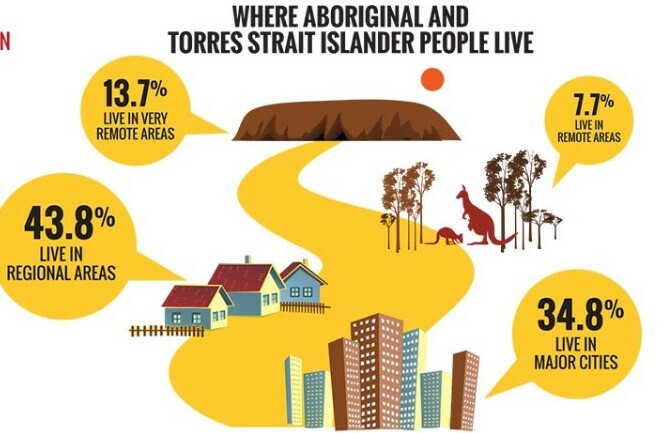 Why is there one standard for Indigenous residents and another for non-Indigenous residents? “The National Partnership on Remote Housing was always scheduled to cease on 30 June 2018. Under the NPARH the Commonwealth paid the states $5.4 billion to reduce overcrowding yet they abjectly failed to achieve this – this is why we are once again in negotiation with the states. “But the Commonwealth does not believe that the Western Australian Government should not take it’s responsibility for housing in Indigenous communities just like it does for housing of every other citizen in its state. In contrast, the Northern Territory Government has taken responsibility and committed ongoing funding to remote Indigenous housing. That commitment, and the severe overcrowding in the Northern Territory, has meant the Commonwealth has been able to offer longer term funding. Instead of playing politics with ‘indigenous Australia’, Peter Tinley and Zoe Bettison should take the time to work constructively with the Commonwealth on future funding arrangements. 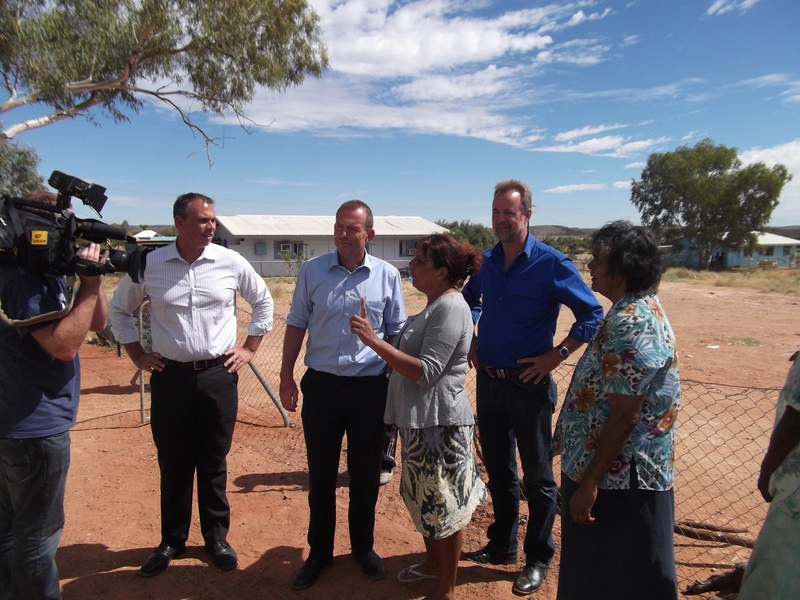 PICTURE ABOVE from THE STRINGER TONY ABBOTT MUST DO :Inspection of Strategic Indigenous Housing and Infrastructure Programme work in Santa Teresa, Northern Territory, April 2011. Tony Abbott with Adam Giles, Alison Anderson and Nigel Scullion. The National Partnership Agreement on Remote Indigenous Housing initiated by the former government in 2008, has not delivered on the promise of being a ‘long-term fix to the emergency’ in remote Indigenous housing. The byzantine national agreement arrangement is unwieldy and does not reflect the very different environments that need to be dealt with across the country. Bilateral agreements with states and the Northern Territory may be a better way to go. In very remote Australia, housing is central to meeting our priorities of getting kids to school, encouraging adults into work and providing for safe communities where the rule of law applies. More than $2.5 billion was spent by the Rudd/Gillard government from 2008 through the national agreement. Indigenous Australians tell me that they have not got value for money. Delivery of housing in remote communities has been marked by delays, cost blowouts and bureaucracy. New houses can cost more than $600,000 and have an average lifespan of only 10 to 12 years. There have been poor standards of construction, unsatisfactory rental payment arrangements and sub-standard tenancy management. Despite this massive expenditure there can be no argument that overcrowding remains chronic in remote Australia where there is no regular, functional housing market. There are no private rental options and no home ownership opportunities in most of these places. Most of these communities are dependent on Commonwealth funded public housing and this has been badly managed. Residents of remote communities need to have the option, as others in Australia enjoy, of private rental and home ownership. Any strategies that we adopt must work towards that goal. A radical rethink is overdue. The states and Northern Territory governments must manage remote Indigenous housing just as they do other public housing. Rental agreements should be in place and enforced; rents should be collected; any damage caused by occupants should be paid for by occupants; and, municipal services should be delivered to acceptable standards by the jurisdictions. This is how social housing operates in non-remote areas. Why should it be any different in remote Indigenous communities? Why have we come to expect lower standards from housing authorities and residents in remote areas? Is it another layer of passive racism to accept less for Indigenous people in remote Australia? Why are we building houses in places where land tenure arrangements prevent people from ever buying the house? One aspect that I will be focusing on is how we can offer housing in a way that encourages mobility for those who want to move to areas with better employment opportunities. I will be working with the states and Northern Territory governments to reform the current arrangements that are clearly failing residents of Indigenous communities. priority for the allocation of social housing to families in employment or where children are regularly attending school. We also need to ensure that people in social housing are not adversely affected when taking up employment opportunities. 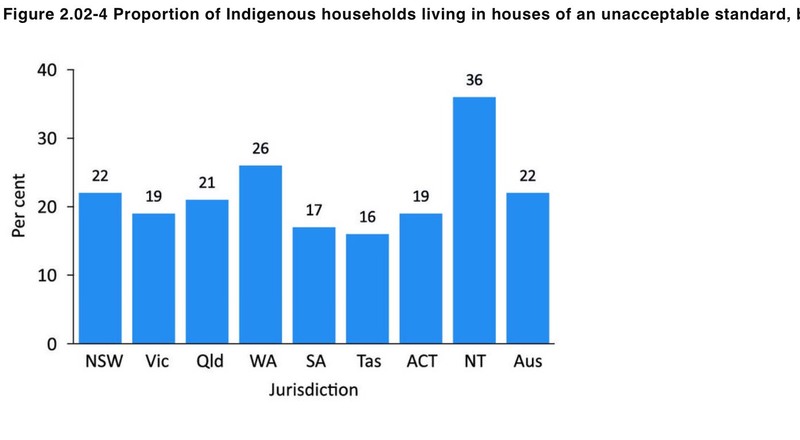 This however is mainly an issue for mainstream social housing rather than remote Indigenous housing. I know that a number of jurisdictions are focused on reform and I look forward to working with them. However, if a state or territory is not up to the task, the Commonwealth might have to step in and take over delivery of social housing or contract providers with significant Indigenous and community involvement to do the job.